Portsmouth City Council accepted the resignation of City Manager Derek Allen, and appointed Sam Sutherland to temporarily fill his position. It’s official, Derek Allen is no longer city manager for the city of Portsmouth. Allen tendered his resignation to the Portsmouth City Council Monday morning, and, as expected, council accepted his resignation during its regular-scheduled Monday night meeting. A joint statement regarding Allen and his resignation was read aloud by City Clerk Diana Ratliff during the meeting, which included the revelation of a development into the investigation of the city manager. The ordinance was adopted by council, and a resolution appointing Sam Sutherland, once again, as interim city manager was adopted. In December, Allen was terminated by city council after allegations were made that Allen used physical violence against another employee, although the employee in question never came forward or went public to address the alleged assault. Following his termination, Allen stated on multiple occasions that he would prove his innocence and clear his tarnished reputation by disproving the allegations of physical violence. Following the filing of a legal injunction, Allen was reinstated as city manager in January. 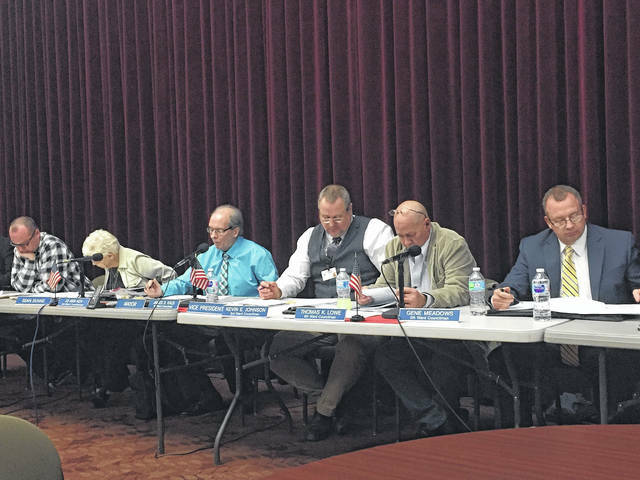 It was just six minutes into Monday’s meeting that Councilwoman JoAnn Aeh requested council recess into an executive session to consider the appointment, employment, dismissal of a public employee or official, and to discuss immediate or pending litigation. City Solicitor John Haas, attorney Mark McCowan and associate Bryan Cremeans, and City Auditor Trent Williams were all asked to join the executive session alongside council members. Upon its return, council requested that three new items be added to the agenda — one being an ordinance authorizing the appropriation and transfer of funds in an amount not to exceed $80,000 from the unappropriated balance of General Fund number 101 for payment of the settlement agreement and full and final release between the city of Portsmouth, employer, and Allen, employee, and another being a resolution appointing Sutherland to the interim position effective immediately at a rate of pay of $105,000 per year. https://www.portsmouth-dailytimes.com/wp-content/uploads/sites/28/2018/02/web1_HHHHHHH201822716114781.jpgPortsmouth City Council accepted the resignation of City Manager Derek Allen, and appointed Sam Sutherland to temporarily fill his position.